We’ve noticed over the years that people tend to classify mattresses in 3 general ways: Good enough for kids (sometimes they need to be changed before they have a chance to outgrow them, and they are lightweight and seem to be able to sleep just about anywhere), Good enough for in-laws (striving for comfort and no complaints), and Good enough for your own bed (extra features usually welcome and appreciated here). The beauty of this mattress is its upgraded simplicity. Usually an innerspring in this price range is only 7 or 8 inches, and mattresses that height just don’t seem to be comfortable enough. This one is nice because it’s 9 Inches high, so if you’ve been using something close to that, you can avoid having to buy new sheets and bedding with higher lofts (loft is the corner height of the mattress or sheets to indicate how deep). 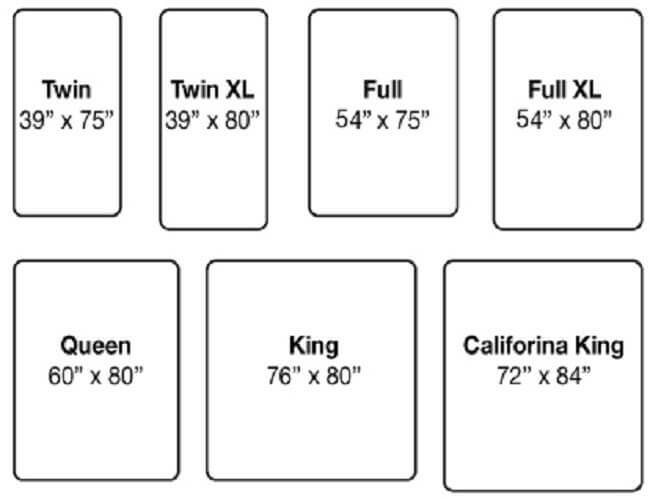 Traditional style sheets usually fit mattresses 7-10 inches, and deep pocket sheets are generally needed for 11 Inches and up, but that can vary so it’s good to check. This mattress is good for a guest room, or any other arrangement that 5-7 years of use is expected. It’s is available in PLUSH or FIRM for the same price, so you just need to choose if you prefer soft and flexible or firm and supportive. Side sleepers sometimes benefit from a softer mattress, while back sleepers seem to prefer more rigidity. 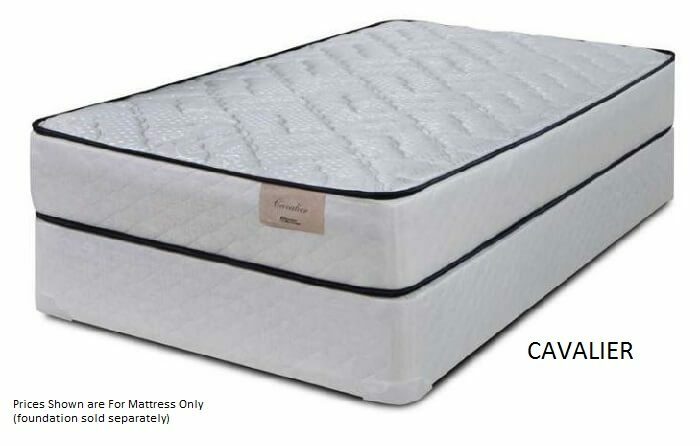 NOTE: The Cavalier is 9 inches, but remember if viewing other varieties that have a pillow top or additional plushness, the height will increase, so be sure to ask about the height if it is an important factor.